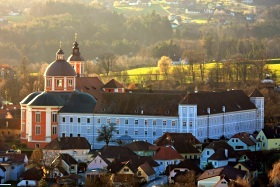 The 64th Annual Meeting of the Austrian Physical Society takes place in Poellau, Styria, on September 24 to 27, 2014. The 2014 annual meeting will have a new format, rather complementary to the format of the past joint annual meetings, and will be designed as a colloquial meeting to stimulate interdisciplinary encounters and discussions. The Annual Meeting is closely linked to the "Pöllauer Tage der Physikgeschichte" on Ludwig Boltzmann ("Und dennoch bewegen sie sich ..."), which will take place on September 26, 2014, and will be open to the public.